Leasing a copier for your business can be a huge undertaking. We know that the process is not always the easiest, but we have the best copier leases in Fort Collins. Our experienced team of representatives will make sure you end up with the right copier for your business. We believe that customer service and honesty should be integral to the copier leasing process. Your business is our priority. Getting you the best copier lease is what we believe in, unlike other copier leasing companies who focus only on making profit. We are open about the secrets of copier leases and want to help you get the best lease you can. For years our experienced team has helped a number of businesses get the copier they need. We are known in the industry for our honesty and reliability. Our selection of Xerox copiers is unmatched, and we guarantee that we will have something to fit your business. 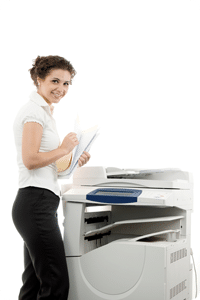 If you want to find the best copier leases in Fort Collins then give us a call today. We can help you see where you may have spent more than you needed on your previous copier lease, and will make sure it does not happen again. Whether you are a small home business or a large medical office, we will get the right copier for your needs. Give us a call today to get help with your next copier lease.